They represent Santa Rosa I, II and III. 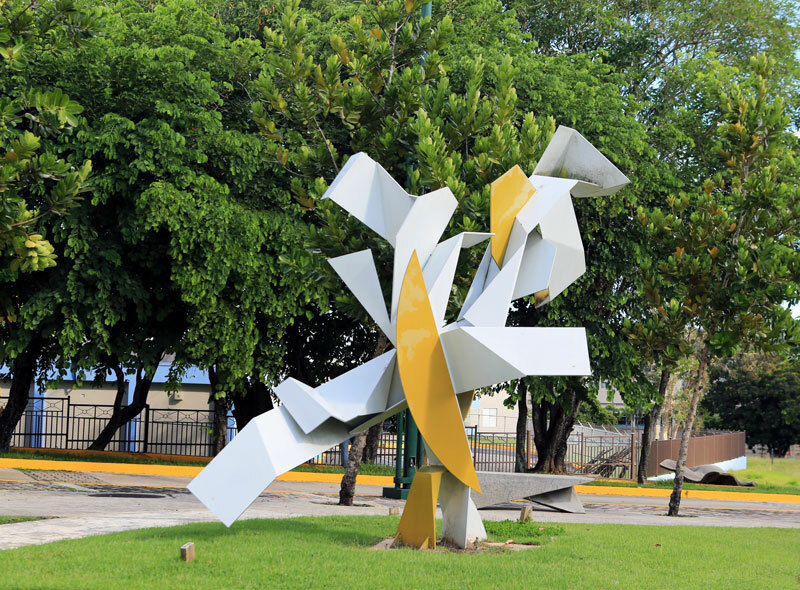 It represents the Canta Gallo neighborhood embracing Santa Rosa I, II and III. It represents Santa Rosa de Lima’s robe embracing the four neighborhoods. They represent Santa Rosa de Lima’s highest virtues: faith, hope, peace, love, kindness and charity. They represent the stars shining above the community. It represents the Canta Gallo neighborhood. 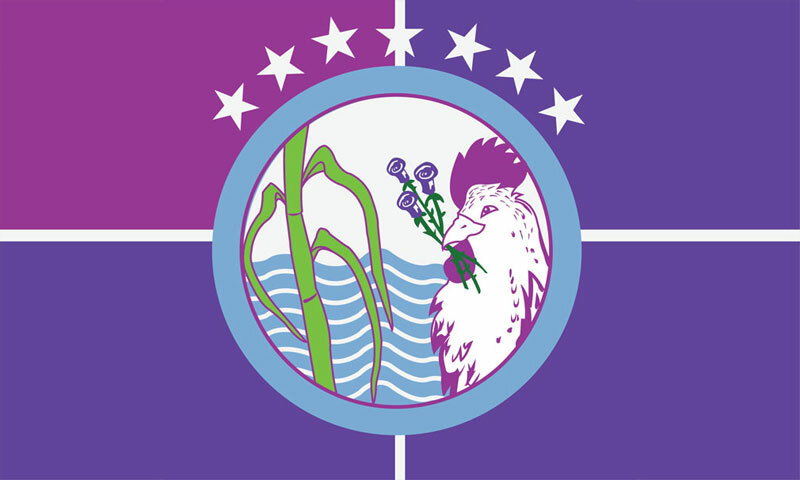 Santa Rosa I, II and III are represented by the three purple roses held by its beak. It represents the area’s economic culture in the past. They represent the rivers and streams that remain an important natural resource.